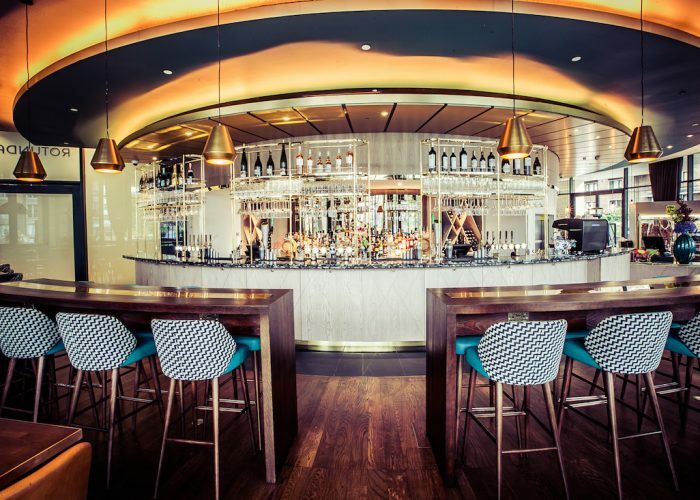 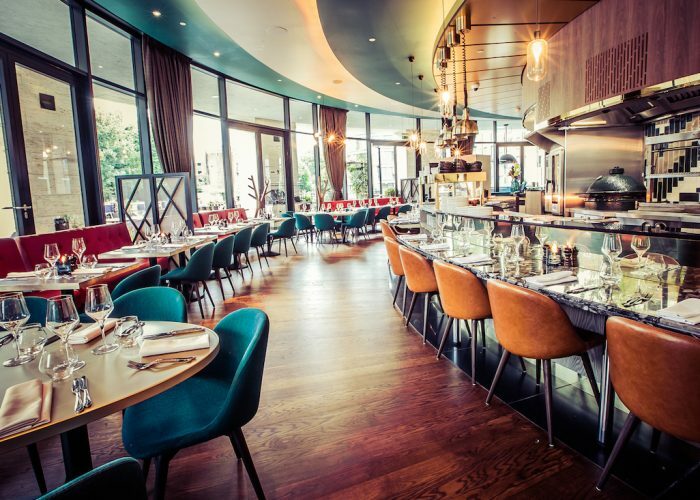 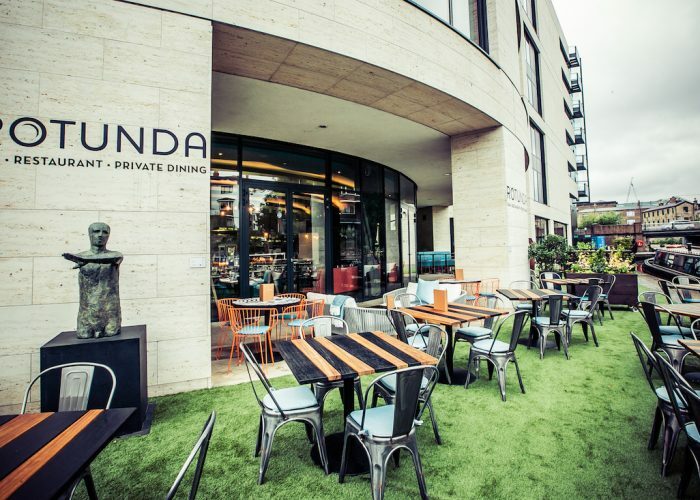 Thank you for your interest in Rotunda Bar & Restaurant – King’s Cross! 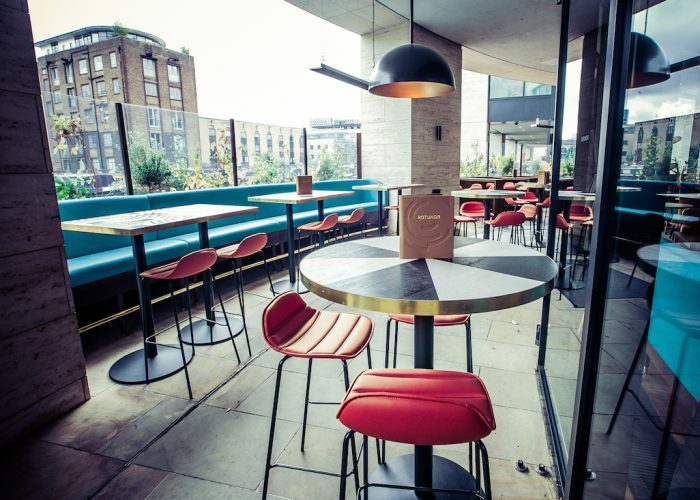 Later Finish On Friday & Saturday Upon Request. 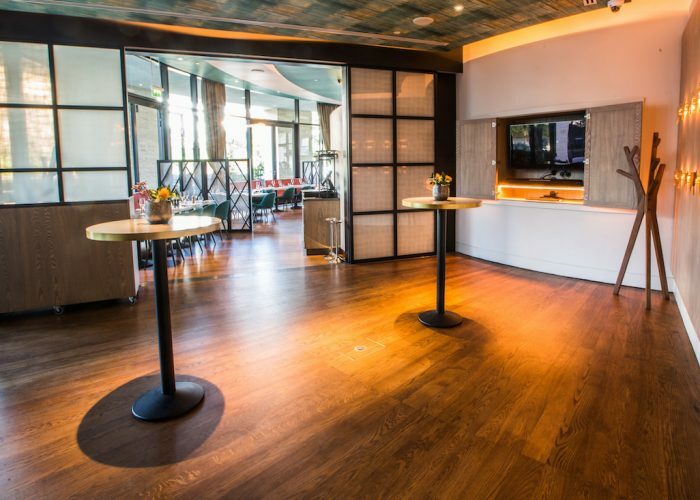 Having undergone an extensive renovation in Summer 2018, Rotunda’s private dining room is the perfect setting to add more exclusivity to your event. 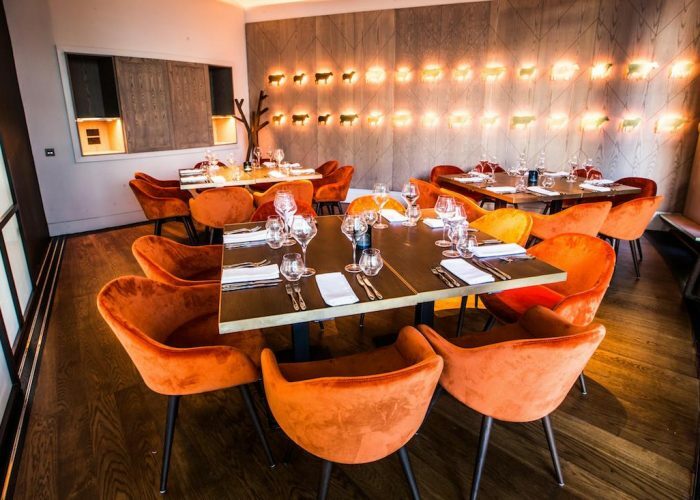 With floor-to-ceiling windows overlooking Regent’s Canal, a modern interior and relaxed atmosphere, Rotunda’s private dining room makes every event memorable. 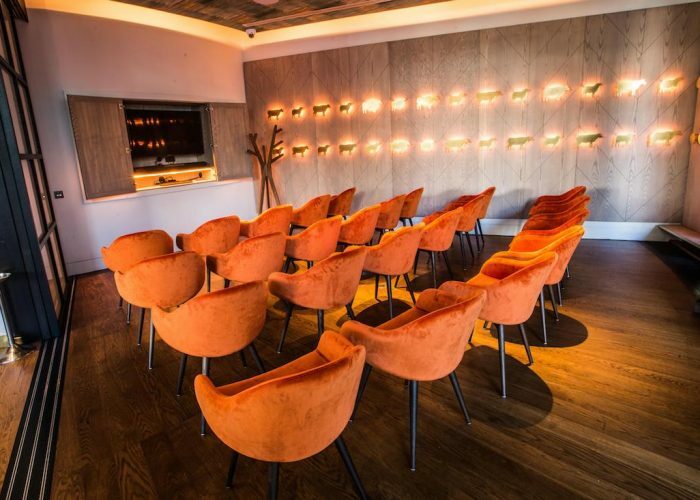 The room’s flexibility means it is more than just a dining room, we can host a wide range of events from meetings and presentations, to birthday parties and weddings. 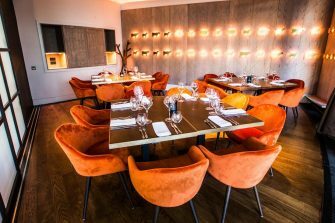 The Private Dining Room’s menus range from family style sharing menus to canapés and bowl food; catering for any occasional setting. 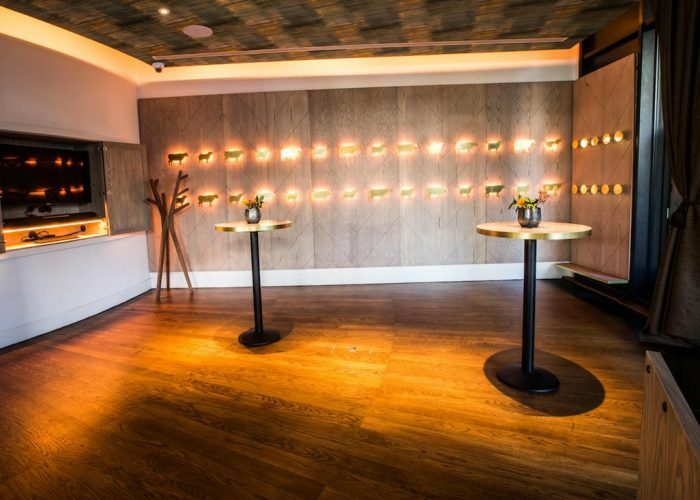 Make use of our private covered terrace area combined with the private dining room and host a party for up to 60 guests. 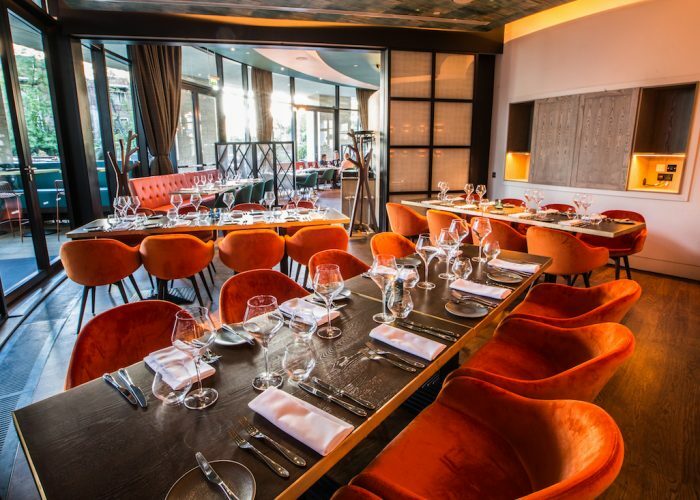 All private dining bookings enjoy exclusive use of the adjoining terrace area with banquette seating – so also perfectly suitable for smaller BBQs, hog roasts and summer and Christmas parties. 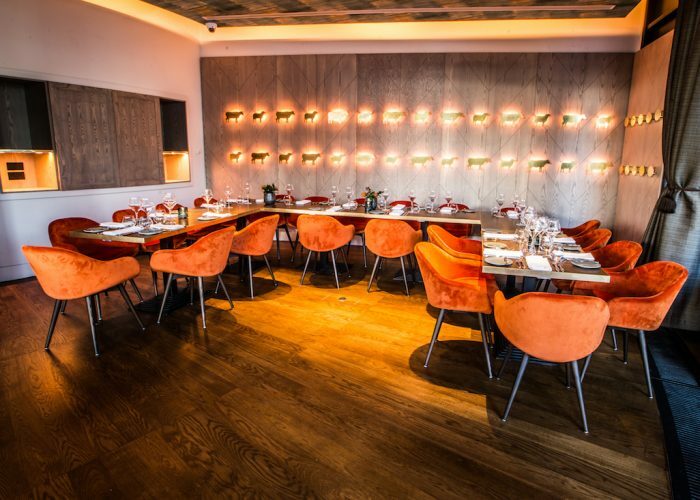 If you are looking to book a larger event, the private dining room is available to hire in conjunction with some or all of the restaurant. 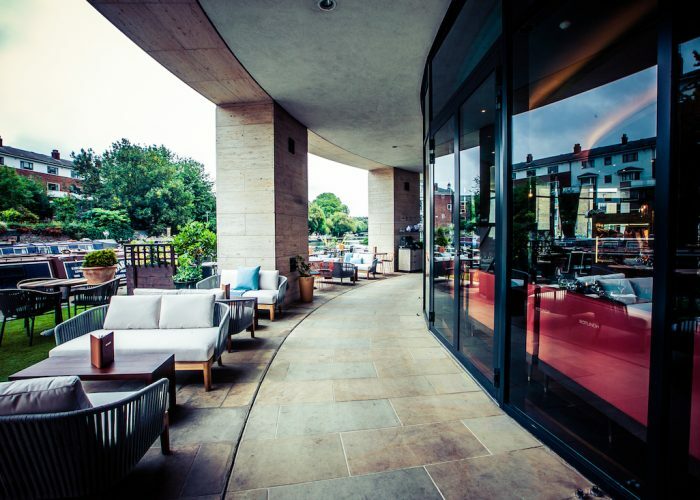 The whole venue is also available for exclusive hires, which in the summer includes the waterside terrace which is perfect for a summer party BBQ. 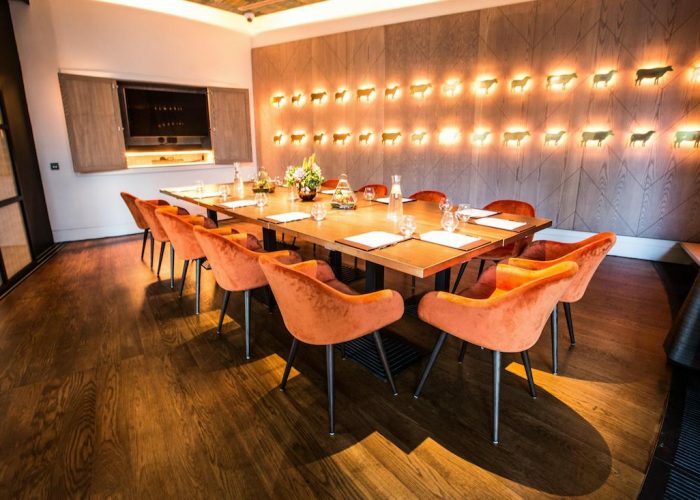 For private dining enquiries and to book, please get in touch with our Sales Executive Yvette – Yvette.Moughton@rotundabarandrestaurant.co.uk, 020 7014 2849 – remembering to quote that you saw our listing in PrivateDiningRooms.co.uk.